Everyone can contribute to wildlife conservation. A starting point is to keep informed about the problems and successes in this field. Through social media and the local press, DGFC continuously raises issues such as illegal logging and poaching within the LKWS and other protected areas in Sabah, we also share the progress and findings of our research. We’ve also engaged in the production of conservation-oriented books targeted to the younger generations. In reference to the recent incident of two saltwater crocodiles, caught along the West coast of Sabah, and subsequently put up for public auction (Daily Express, 3rd August). Following a second media release (5th August) calling off the auction, the Danau Girang Field Centre (DGFC) would like to address some of the questions that were posed by the group “Concerned Conservationists” in Sunday Forum of 12th August, regarding this matter. It is important to note that our capacity to clarify this matter is based solely on DGFC’s scientific data and research and not as a spokesperson for the Sabah Wildlife Department (SWD). In 2017, DGFC was appointed by the SWD to conduct a three-year, state-wide, population assessment on Sabah’s saltwater crocodile population. The aim being to provide a more complete understanding of the current distribution, and relative densities of the species, following a purported rise in Human Crocodile Conflicts (HCC). This research covers 10 of the largest river systems in Sabah. The first-year assessment was completed in November 2017 and the second-year assessment is ongoing. Based on the results of the first-year assessment, we would like to address thoughts and questions brought up by concerned members of the general public. Has the crocodile population in Sabah increased to a point where we have too many of them now, that via public auctions, live crocodiles are allowed to the general public for consumption? The last population survey on the crocodiles was conducted by the SWD in 2002 indicating a density of 2.27 crocodiles per kilometer of river. The recent one-year survey conducted in 2017 yielded a crocodile density of 2.29 crocodiles per kilometer of river. This is indicative of stable crocodile densities in Sabah. Given that this is a single sampling event, further ongoing surveys are required to determine the true trend in population numbers. The actual population figures, and trend, can only be determined at the end of the three-year survey, which will be completed in 2019. Whether or not the population of wild crocodiles has increased, DGFC is not aware of a policy, as such, that allows public auctions of live, wild crocodiles for public consumption in Sabah (as per the Wildlife Conservation Enactment 1997). However, given the species’ status as schedule 2 protected, this appears to fall outside of the remit of the Wildlife Enactment. If the SWD has conducted these activities in the past, DGFC has not been aware of them. In this particular case, DGFC was not requested to provide advice, or assistance. Licensed crocodile farms within the state are, however, permitted to sell crocodiles for meat or leather. Why can’t the two crocodiles be translocated (some with satellite tracking devices) as so many were done before as mentioned by countless media release and in many wildlife documentaries, all done jointly by SWD and Danau Girang Field Centre)? Yes, it is possible to translocate captured crocodiles into rivers that are more isolated from people. The results of the first-year of survey and the preliminary results of the second-year (70% complete), indicate there are rivers with very low crocodile density and human settlement. Such rivers could be ideal locations to release problematic crocodiles. However, the carrying capacity of the river (the quantity and quality of available prey) must also be taken into consideration. Regarding the fitting of satellite tracking devices, their deployment is subject to several caveats. Firstly, the animal must meet a minimum weight requirement to be able to bear the weight of the device. Secondly, satellite tags can only be deployed if the attachment site is large enough for the tag to sit comfortably between anchor locations. Generally speaking, this limits tagging to individuals more than 3.5 m. In this instance, DGFC was not consulted on the possibility of tag attachment and translocation. Can the general public now hunt and consume wild crocodiles without the fear of being prosecuted by SWD? No. Saltwater crocodiles are listed as Schedule 2 species in Sabah. As such, the general public are not permitted to hunt crocodiles, collect eggs, or remove them from the wild, under any circumstances. Given this status, SWD is legally committed to protect crocodiles from general public hunting, under the terms of the 1997 Wildlife Enactment. We have seen an unprecedented rise in the crocodile population in the west coast region in Sabah. Is this normal or is it as rumored, caused by an escape of a hundreds of crocodiles a few years ago from a very dubious allegedly illegal crocodile farm situated in Penampang just by the Petagas/Moyog River? We are unaware of any evidence of an unprecedented rise in numbers, anywhere in the state. At best, the last 15 years has seen a stabilization of numbers, but despite this, some rivers appear to have seen a decrease in overall numbers. Once again, this must be caveated with the fact that further surveys will shed additional light on this topic. DGFC is not aware of such an escape of crocodiles from an allegedly illegal crocodile farm, situated in Penampang. What we do know is that there is a crocodile farm in Kampung Kibambangan next to the Petagas River that has had concerns raised for its poor management and lack of safety measures. The crocodiles there are kept in extremely poor and unsanitary conditions and we have alerted the SWD and the Ministry of Tourism, Culture and Environment. Ms Sai Kerisha Kntayya (PhD student on crocodile ecology and crocodile survey project leader), Dr Luke Evans (Regional Vice Chairman IUCN Crocodile Specialist Group) and Dr Benoit Goossens (Member of IUCN Crocodile Specialist Group). Written by the PTYs, the Jungle Times is the independent newsletter for visitors and friends of Danau Girang Field Centre. Discover the latest news, events, research information and photographs from the centre. Dig into our archive here. 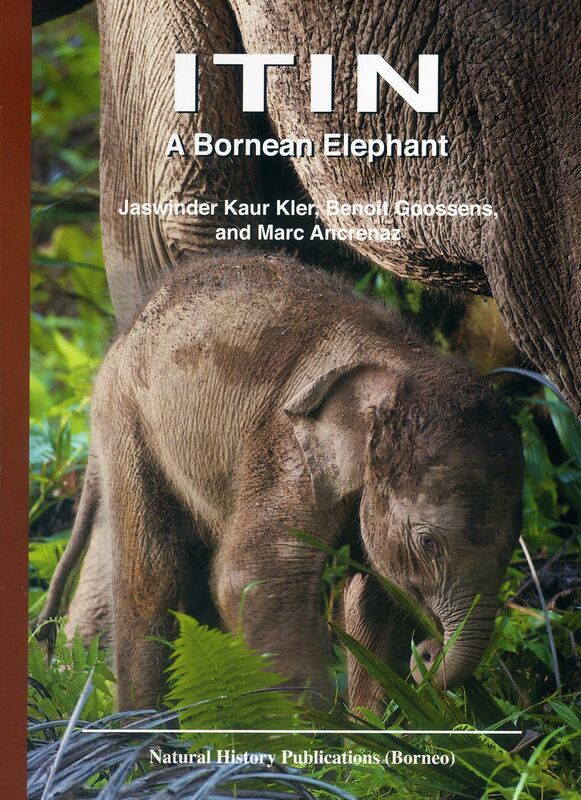 DGFC published Itin: A Bornean elephant and Upin: A Bornean banteng. Narrated from the perspective of a young elephant and a young banteng, respectively, these books cover facts of both species such as their origin, habitats, daily routine, social organisation and behaviour. It also touches on threats faced by them. From time to time, our researchers and work are featured in local and international television. BBC – “How Nature Works”, episode “The Emerald Band” presented by Chris Packham, featuring our elephant work, was first broadcasted in the UK on 17 June 2012.